경주 구정동에 있는 높이 40ｍ의 단독 원형 구릉 정상부에 있는 3개의 무덤이다. 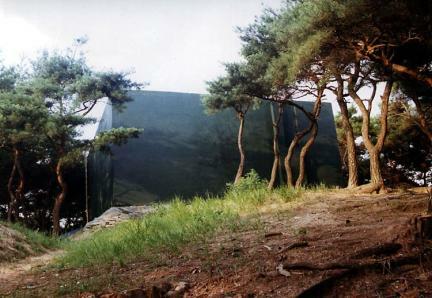 1951년 동검, 말방울을 비롯한 철제품이 수습·보고된 후, 1982년 국립경주박물관에서 발굴하였다. 내부시설은 구덩이를 파 그 안에 나무널을 넣은 덧널시설이 있는 덧널무덤(토광목곽묘)이다. 제1무덤은 구릉경사면에 있으며, 제2무덤과 제3무덤은 구릉정상부에 있는 부부 합장무덤로 추정된다. 제1무덤에서는 와질토기와 도질토기가 출토되었다. 길이 6ｍ, 너비 1.2ｍ의 제2무덤은 화로형토기와 대형철투겁창(철모)25점, 도질토기가 나왔다. 길이 8ｍ, 너비 1.5ｍ의 제3무덤에서는 고리자루칼(환두대도)와 갑옷, 와질토기, 도질토기가 출토되었다. 와질토기와 도질토기가 함께 출토되는 것으로 보아 도질토기 초기단계인 4세기 전반경으로 판단된다. 갑옷은 11매의 세로 철판을 연결한 고식(古式)갑옷이며 대형철겁창은 의기적 성격을 가졌다. 이 시기 다른 무덤에 비해 입지조건이나 규모, 껴묻거리(부장품)의 질과 양으로 보아 이 지역 지배층의 무덤으로 추정된다. 5세기 이후 무덤들은 다량의 금동제품을 포함하고 있어, 무덤 발달과정을 알 수 있는 중요한 유적이다. 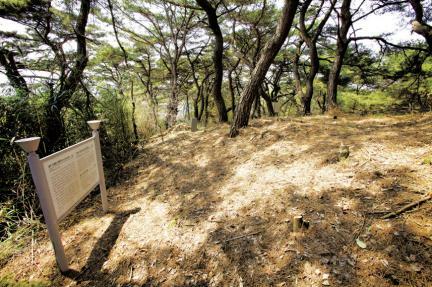 These are three tomb mounds on the summit of a 40m-high, independent, globular-shaped hill in Gujeong-dong, Gyeongju. 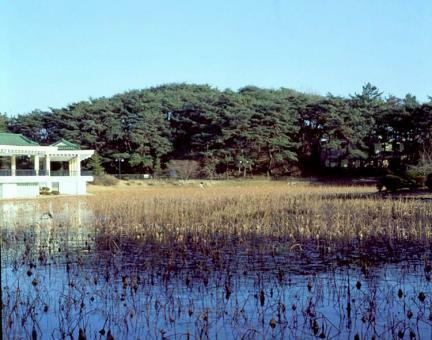 In 1951, Kim Won-ryong collected and reported the unearthed ironware including a bronze sword and a horse bell; later, in 1982, the Gyeongju National Museum followed up and formally led the excavation. The inside facility is a wooden chamber tomb where they dug a hole in which to place a wooden coffin and covered it with soil. 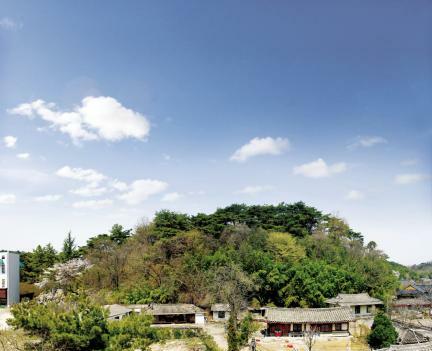 The first coffin is on the incline of the hill, with the second and third coffins on the summit assumed to have been a tomb where a couple was buried together. 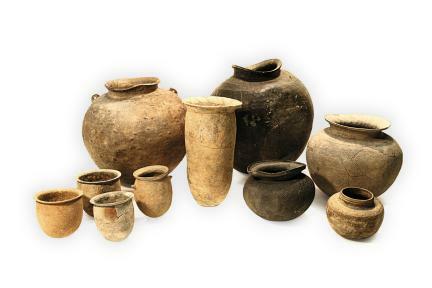 In the first coffin, gray-soft earthenware and ceramic-quality earthenware were excavated. 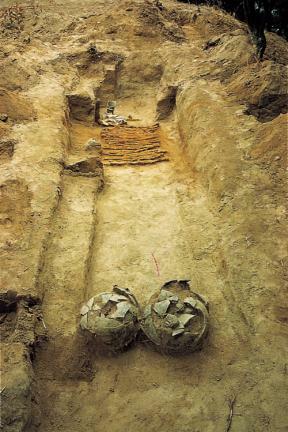 In the second coffin spanning 6m long and 1.2m wide, brazier-formed earthenware, 25 big iron spears, and ceramic-quality earthenware were excavated. In the third coffin measuring 8m long and 1.5m wide, sword with ring pommel, armor, gray-soft earthenware, and ceramic-quality earthenware were excavated. 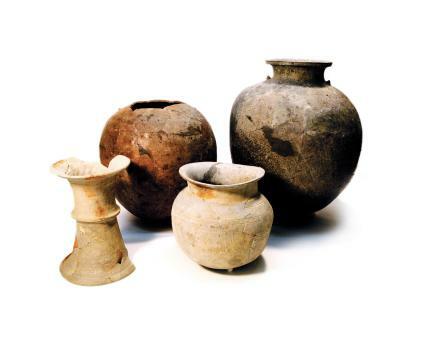 Its period is presumed to have been the first half of the 4th century, which was the beginning stage of ceramic-quality earthenware judging from the fact that gray-soft earthenware and ceramic-quality earthenware were excavated together. 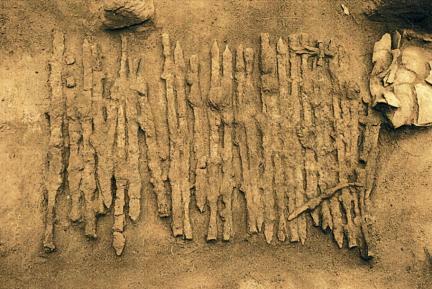 The armor is of a primitive style composed of 11 vertically connected iron boards. A big iron spear also has spiritual character. This tomb mound is superior compared with the other tomb mounds of that time, judging from the condition of the location, size, and excavated relics' state. It is presumed to have been a tomb for the ruling class of the region. Since the 5th century, tombs have included many gilt bronze artifacts; therefore, it is an important relic in understanding the development process of the tombs.